Casa Ester was born from a need to provide safe transitional housing for girls who grew up at Oasis. These girls and young women have suffered physical and sexual abuse and have been rescued from dangerous environments, most often coming to Oasis under court-ordered protective custody and bearing the deep scars of exploitation. Although our legal responsibility may end when girls reach 18, our spiritual and moral responsibility is still alive and well! The Casa Ester home provides a safe,supportive atmosphere for young women aged 18 and older. Here they learn important life skills and receive ongoing Christian discipleship. Casa Ester ladies have the opportunity to continue on to higher education programs,maintaining a minimum of 40 hours of combined work and school. In 2017, the Casa Ester ministry expanded in order to care and support older girls with special circumstances. We prepare our La Arquilla moms (girls who became pregnant as a result of sexual assault and who have given birth) to arrive at Casa Ester with their child. Mom will receive education and career support as her child goes to school so that this family has a successful launch. Also, we have developed a program to support older girls who, because of emotional or physical disabilities or learning delays, cannot live independently. We give them the support they need and tools for a productive life. Responding to a great need, Casa Ester has now opened its doors to older girls who have been forced to leave other ministries and have nowhere to go. These young ladies desperately need the professional care and support our staff can provide as they are often victims of horrific trauma. 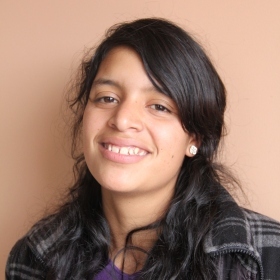 Without Casa Ester they would be forced into the streets where they are even more vulnerable to continued abuse. Support the Ministry of Casa Ester Home Independence Program with Your Gift Today.